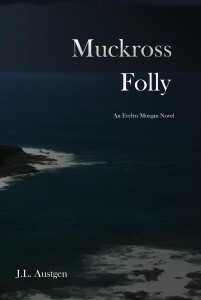 Silver is a short story prequel to the Evelyn Morgan series of mystery thrillers, including Keyser Run and Muckross Folly. Abandoned after being brutally assaulted, Air Force Academy cadet Evelyn Morgan remembers another very difficult time in her life — her mother’s battle with cancer. Her mother divulges a family secret, which provides renewed hope and strength in Morgan’s current struggle. Evelyn Morgan is a newly minted team leader placed in charge of one of the FBI’s elite anti-terrorist squads after tracking a world-renowned assassin for most of her adult life. Tasked with discovering the original sources of funding for a terrorist cell operating in a suburb of Washington, D.C., she is quickly ensnared in an international conspiracy when all contact is lost with the terrorists. While scrambling to find the terror cell, Morgan uncovers a plot more sinister than she could have thought possible. 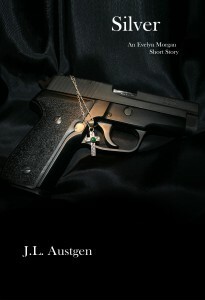 One of her agents wants her dead, and will stop at nothing to accomplish the goal. 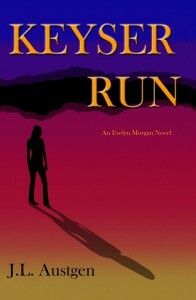 Keyser Run is a fast-paced, suspenseful thriller set mainly in the suburbs of Washington, D.C. While tracking down the mole within her organization, Morgan stumbles on the clues that point her back to the world-class assassin she’s been trying to capture. But as her team is executed one by one, she must come to terms with the fact that the assassin isn’t her most dangerous adversary. Reeling from the recent death of her lover, and the destruction of her team at the hands of her deputy, FBI agent Evelyn Morgan vows revenge against her nemesis, the assassin that planned the operation, Omar Ben Iblis. The trail leads to an old friend, well-connected and well-placed in Washington’s political establishment. When he goes missing under mysterious circumstances, Morgan must scramble to pick up the pieces. While investigating the disappearance, she discovers a vicious new menace, one that threatens to be more cunning and deadly than anyone she has ever faced. Trained and mentored by Ben Iblis, this new threat has her family under siege, and if Morgan doesn’t act quickly, she’ll be the talented protege’s next victim.